Missing Persons of America -Michelle Hoang Thi Le: Family releases statement criticizing the police dept. 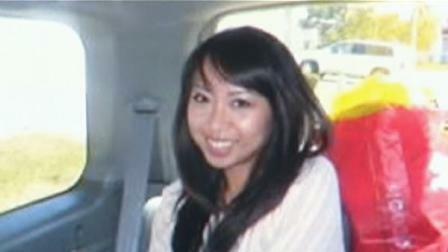 Home » Missing » Michelle Hoang Thi Le: Family releases statement criticizing the police dept. Michelle Hoang Thi Le: Family releases statement criticizing the police dept. The San Mateo family of Mt. Carmel Grad, Michelle Le is frustrated with the police dept and think they are not doing enough to search for Michelle. I have seen similar frustration by other families that don’t believe the police are doing enough, but this is the first time I have ever seem a family release a public statement about it. Most families of missing persons, rely on the police exclusively. Many don’t have any recourse, but the police, as they don’t have the money to hire a PI. Many other families watch too much TV and believe the police will drop whatever they are doing to look for their MP. It is not till several days to weeks later, before they realize they probably could have done more. The quality of the police dept. is different from city to city to state to state. Some families live in a city where the police dept is creme de la creme and other families live in a city where the police dept has had little experience in handling MP cases. Not until there is mandatory Missing Person Depts. in each and every police station in the U.S., will there ever be a standard of procedure and training dedicated just to missing persons. “Following Michelle’s vigil Friday, our efforts toward bringing Michelle home have been reinvigorated by the hundreds of supporters in attendance. Though we continue to stay positive and optimistic for her return, we need more resources and personnel with the highest priority to analyze the evidence to bring her home quickly. Currently, we only have family members, friends and volunteers helping us with media collaboration, search parties, and case updates. Our family believes the Hayward Police Department is not adequately staffed and do not have enough personnel to work on a missing person case. We have been assured they have personnel working ‘around the clock,’ yet only six personnel are assigned to the team, and of those, three recently went on vacation. We have also been assigned a new public affairs officer. Shockingly, the supervising investigator for Michelle’s case told our family they do not have much experience working missing persons cases. As an example, her apartment was not searched until Tuesday, four days after her disappearance, and whatever evidence they recovered from her car will take a month to process. The Hayward Police Department did put pressure on the lab to get it expedited, but even then it will take two weeks before any results come back. Though the FBI received her computers early in the week, they did not receive her cell phone records until Thursday. We believe that if personnel experienced in missing persons cases were assigned a lead role, evidence (like her cell phone records) would be analyzed expeditiously, and we would also see her picture and information posted on the FBI’s website under the Missing Persons link. Further, we have not been given regular updates. At times, we have had to pull information from the police; even now we have to wait through the weekend to receive our next update, which will be in the form of a public address, not directed personally to our family. We understand the importance of not compromising the investigation, as well as the importance of jurisdiction and procedure; however, it fails to inspire confidence in their performance when they report to the media they have no new leads and have to wait for evidence analysis more than one week later. We are asking the FBI to assume a lead role in the search for Michelle by providing personnel with experience in missing persons to the investigating team, and giving the evidence analysis the highest priority to bring Michelle home. Im sick and tired of Michelle Le's family criticizing and blaming the police & saying they aren't working hard enough. The police department are understaffed and I'm quite sure that they are doing all that they can to work this case. Unfortunately there are TONS of missing person's cases that the police need to continue to work on- those missing before Michelle Le. What about all those other families whose loved ones were/ are still missing? Should the police quit working on those cases and focus entirely on Michelle? Michelle Le's family needs to be more supportive of the police instead of constantly criticizing them. They don't know what the police are doing and it's counterproductive. I can also guarantee you that Michelle Le's family will file lawsuit against the Hayward police at one point or another. The FBI is already working on this case and that says ALOT. Forget about all the other MP cases i guess, right? The police are diligently working on this case, especially with all the public pressure. The most families of missing person's don't get as much publicity as this case- if any publicity. I am just disgusted as to how unappreciative and quick to blame Michelle Le's family are. This is REAL life. It is not like CSI where cases get resolved in 1 hour. It takes months for DNA results to arrive, weeks to process evidence, time to interview & locate persons of interests…etc etc. The whole process is very meticulous and one error may result in evidence being thrown out of court for mishandling. What a shame that Le's family has such a sense of entitlement. Many times the police will call the FBI in when they know the search is going to cost a lot of money, so the FBI can bear the cost that a small police dept. can not. Yes, DNA results can take months and that is with a requested rush. Many don't realize that the police are at the mercy of the cell phone companies. It takes time to do the research and produce the subscriber information, and there is nothing the police can do but wait.